As of February 1, Rey Ramos is the new director of the Vick Center for Strategic Advising & Career Counseling. Ramos has over 16 years of experience in higher education and is currently pursuing his doctorate in higher education administration. 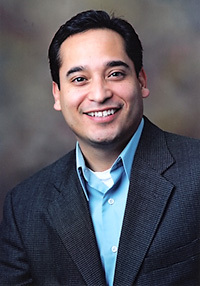 Before joining the Vick Center, Ramos served as the director of the Personalized Academic Advising and Career Exploration (PACE) Center at Texas State University in San Marcos. PACE coordinates the academic advising for all first-year students at Texas State and assists with the major declaration process. Ramos is no stranger to both the student and administrative sides of The University of Texas at Austin. He graduated from UT in 1996 with a bachelor’s degree in government and earned a master’s in higher education administration from Sam Houston State University. He has worked in positions in various areas at UT including admissions, student affairs, the office of the dean of students, and the Longhorn Center for Academic Excellence. Prior to his position at Texas State, Ramos served as a program specialist for the Texas Higher Education and Coordinating Board.